Western society prioritises individual achievement. Many of us spend our lives in this paradigm, and Western society applauds us for doing so. We are focused on ourselves: what grades can I achieve in my exams? What kind of degree can I get? How impressive can my first job after University be? And teachers are not immune to this. We are surrounded by people climbing the ladder, reaching for the stars; young headteachers are showcased by the media and applauded. We are programmed to aspire and to achieve. I’ve written before about why I chose to join Michaela. Doing so meant stepping out of the ‘ladder’ mentality: I was an assistant headteacher in two schools prior to becoming a Head of Department here. But it also meant stepping out of the ‘individual achievement’ paradigm. Before I began, I thought: ‘let’s see how fast I can be promoted.’ But when I started, I realised that I was in utterly the wrong paradigm. It wasn’t about me anymore. In fact, it had never been about me to begin with. When weighing up the decision to join Michaela, Katharine gave me some honest options: ‘if you want to be a headteacher quickly, stay where you are. You’re not going to be a head fast if you come with us. In fact, it will slow you down.’ How badly did I want to be a headteacher? Really badly. But why? I wanted to change the lives of thousands, not hundreds, of children. But was that all? Or did I also want the ‘glory’? The responsibility, the excitement of being in charge? I forced myself to face reality. Would I be ready to be a headteacher in five years? Or maybe even less? What kind of mistakes was I liable to make if I was promoted too quickly? How many people – adults, children – would suffer because of my ambition? 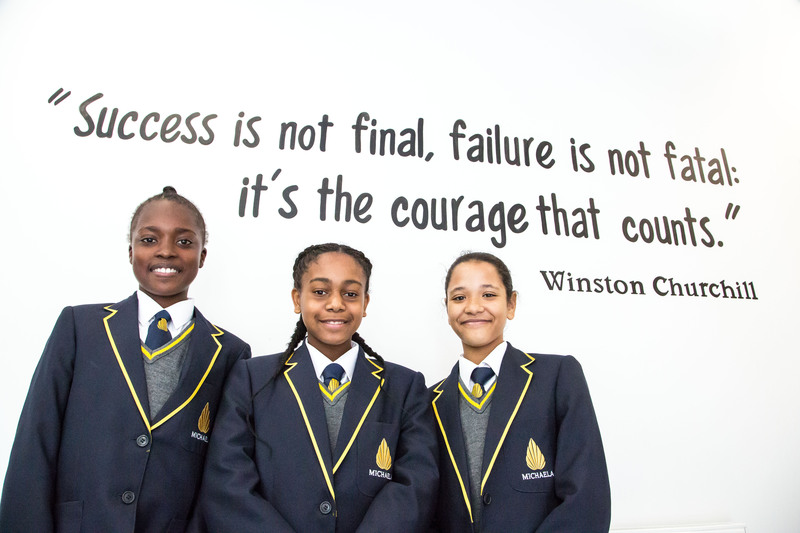 At Michaela, it’s not about me – it’s about the team. And that is, of course, how it is in other schools, for people who have left behind their ego, as I have learned to. I may not go fast, but it’s not about that. We, as a team, will go far. Together, we can accomplish what I could never do on my own. How could I make an extraordinary science curriculum, as Olivia Dyer has done? What do I know about Geography, History and Religion? Nothing compared to Jonny Porter. I took A-level French, but I don’t have a hope of teaching people to teach languages like Barry Smith and Jess Lund. And Maths? I can barely add up without using my fingers to count. Dani Quinn has a degree from Oxford. I don’t even know the first thing about how to teach grammar, and I’m an English teacher with a degree in English! I need Katie Ashford. At Michaela, I’ve stopped focusing on what I can get, and started thinking about what I can give. When I have extra capacity, I ask Katharine what other parts of school life I can contribute to. That’s why I have had the opportunity to help to shape our CPD sequence, which I write about in our forthcoming book Battle Hymn of the Tiger Teachers. I’ve been able to do so much more in a school where everyone works as a team, and the impact on the kids is beyond belief. With all of us ‘rowing together,’ the boat gets a lot further. Our book is a great example of this. Individually, the teachers at Michaela write a whole heap of brilliant blogs. But this book is more than one person’s perspective. Instead, it is the perspective of twenty people, who all contribute to make our wonderful school the happy, productive place it is. We are a team, and team beats individual every time. A major high-point has been reading. At Michaela, I get to read constantly. With my classes, I have read Romantic and Victorian poetry, The Aeneid, Julius Caesar, Medea,Macbeth, Frankenstein and Northanger Abbey since January, along with other non-fiction and short extracts. With my tutor group, I’ve read Dracula, Wonder, Gulliver’s Travels,Boy, The Three Musketeers (very much abridged! ), and Gombrich’s A History of the World. Then with reading group, I’ve read The Secret Garden, Farenheit 451, Matilda, Roll of Thunder Hear my Cry, Educating Rita, An Inspector Calls and Pride and Prejudice. I spend the last hour of my day reading with children. There is nothing better in the world. I’ve also found more and more time to read myself, in the evenings and on weekends. Gone are the weekends and evenings of frantic work. Some weekends, I have spent the whole time just reading novel after novel after novel – my idea of paradise! English – 04.06.2016 – What can schools learn from successful communities? What can schools learn from successful communities? Amy Chua (of ‘Tiger Mother’ fame) and Jed Rubenfeld have analysed outlier communities in the USA and distilled what they have learned into a readable tome called ‘Triple Package: what really determines success.’ The book provides a fascinating insight into what makes particular communities successful, but I think it can also lend its insights to schools. After all, every school is a community: how can we create the conditions within our schools to leverage the success in our community felt by those outlier groups in society? One example group given are the Mormons: this group represent 1.7% of the US population, but are dominate in politics and business, with a few representatives breaking through in the creative arts (such as Stephanie Meyer of ‘Twilight’ fame). The roll call of successful Mormons is quite extraordinary, and Chua and Rubenfeld explain it in their possession of the ‘Triple Package’: while Mormons consider themselves a ‘chosen people’, they are also broadly rejected, ridiculed and side-lined by society (see: ‘The Book of Mormon’). Their church also inculcates a deeply ingrained work ethic, among other ways, by a two-year ‘mission’: ‘While other American eighteen-year-olds are enjoying the binge-drinking culture widespread on college campuses, Mormons are working six days a week, ten to fourteen hours a day, dressed in white shirt and tie or neat skirt, knocking on doors, repeatedly being rejected and often ridiculed.’ Other successful groups explored in depth in the text include Indian, Iranian, Nigerian, Cuban and Lebanese immigrant groups. Like Mormons, ‘Jewish children were raised hearing… that they were God’s chosen people’. Their ‘outsider’ status (of which more below) instils a ‘chip on the shoulder;’ an ‘I’ll show them’ mentality. Although ‘superiority complexes are hard to maintain… All the forces of assimilation work against it,’ nonetheless it is worth cultivating a superiority complex in our schools. How do we do this? We could repeatedly tell our kids they are special; different. In every school I’ve worked at teachers give pupils this message in a variety of ways – the most successful schools get their pupils to feel a sense of huge pride that they wear their school’s uniform, and not, for example, the school across the road. In my first school there was always a sense that you were different to others in the community because you went to our school. It helped that the school was massively oversubscribed, Ofsted Outstanding, with amazing results at GCSE and A-level. Other schools may have to try different methods to achieve similar results. At Michaela, we overtly tell our pupils: ‘you are not normal. You are Michaela.’ We want them to feel like the chosen people: by virtue of the school they attend, they are different, and destined for greatness. The tension of the ‘Triple Package’ comes in ensuring superiority and insecurity are present; for the Jews, the obvious motivator of centuries-old anti-Semitism comes into play massively, as Chua and Rubenfeld refer to the ‘fear for their survival’ playing into a drive to do well. Another wildly successful group of over-achievers are Asian Americans, who ‘regularly report low self-esteem despite their academic achievements. Indeed, across America, they report the lowest self-esteem of any racial group even as they rack up the highest grades’ (the authors share one anecdote that: ‘Conversations at the dinner table read like status updates of outstanding Asian kids our family know. So-and-so’s son just got into Stanford…’). What, as a school community, can we do to mimic this insecurity? In some ways, this is an easier feat for schools who are not Ofsted Outstanding, or who do not have the results to back up their superiority message. Such schools are the ultimate underdogs, seeking entry to the mainstream with the proof of their results. At Michaela, we remind pupils that they have a long way to go. We are honest with them: pupils at private schools have parents who are paying up to £30,000 a year for their education: you can bet they will come out with some terrific results, and statistically they do. If our pupils slack or misbehave, we remind them of the consequences; when they don’t do their homework we tell them about their boarding school peers who simply do not have an opportunity to not do homework. Even within class, we can drive pupil insecurity by pointing out the gap between their effort and their more successful peers. Pupils need to be afraid: someone, somewhere else, is doing better than them. They need to raise their game. Most educators are familiar with the ‘Marshmallow Experiment’: children are told they can eat the marshmallow now, or wait and be rewarded with two. The children who are patient, who have ‘impulse control’, ‘go on to get better grades; spend less time in prison; have fewer teenage pregnancies; get better jobs; and have higher incomes.’ Interestingly, this test was re-run in 2012, with an addition: some pupils experienced an unreliable interaction with an adult prior to the test; so an adult told them they would bring them crayons to play with but didn’t follow through. Those children were then much more likely to eat the marshmallow straight away, not trusting that the adult would follow through on their ‘two marshmallows’ promise. This is of interest because our pupils from poorer backgrounds have come to distrust the system, and ‘if people don’t trust the system, if they think society is lying when it tells them that discipline and hard work will be rewarded – if they don’t think that people like them can really make it – they have no incentive to engage in impulse control, sacrificing present satisfaction in hopes of future gain.’ In many schools, we are battling with an ingrained distrust of the values and possibilities we present to parents. At Michaela, our pupils are instructed to sit up straight in every lesson, and can be issued with demerits for turning around or slouching in their seats. The impulse control ingrained through this one simple policy is extraordinary: visit our school, and you will see 100% of pupils sitting up straight for six solid hours a day, facing the front, rarely speaking, listening to their teachers and writing. Hands are raised to contribute to the lesson, but a pupil may speak only twice in an hour’s lesson; perhaps less in some (though much more in others). Despite this, pupils wait patiently with hands raised to speak, and calling out is prohibited. Homework and holiday homework is set through centralised systems which ensure very nearly 100% compliance and 100% of non-compliant children being issues with a sanction. Firm consequences reinforce positive habits and develop our pupils’ impulse control. If we can harness each of these elements, superiority, insecurity and impulse control, we create pupils who know they are special, need to prove themselves, and develop the will-power and dedication to persevere despite difficulties. Such pupils, I believe, will become the outlier overachievers of our school system. But perhaps, after all, it is better to steer clear of the extremes set out in this survey, and rather focus on their calmer, simpler cousins: quiet confidence, humility and work ethic. Since watching the Saudi Arabian film ‘Wadjda’ when first moving to London, I became interested in broadening my outlook. The film alerted me to the savage inequalities women face across the globe, and prompted me to read into the genre of ‘feminist literature.’ I learned that women are less likely to reach the top of their professions, are overwhelmingly saddled with domestic burdens, are judged by their looks, pressured to conform to a socially acceptable appearance, and then treated inappropriately when they did. The picture seemed bleak, and, like Katie Ashford argues, perhaps too much focus on the evils of patriarchy actually disempowers women. Be ambitious: there are not enough women leaders, and the solution is to become a female leader. Society might judge you for your ambition (how many women have experienced, as I have, leaving a job for a promotion to have the word ‘ambitious’ spat at you like it is a dirty word? ); cultivate it anyway. Be present: too many women suffer from ‘imposter syndrome.’ Be confident that you deserve to be a voice which is heard. Some of the best feedback I received after an unsuccessful interview was: ‘don’t be afraid to tell us what you really think. You’re asked a question, we want to hear your answer.’ Underlying my reticence was possibly the ‘why do they care what I think?’ Such an attitude holds us back. Be likeable: unfortunately, successful women are not as liked. This is a horrifying truth: blind tests of the same CV with the name changed from ‘Howard’ to ‘Heidi’ showed that among subjects of both genders, the woman was considered less likeable than the man. Assertive women are ‘aggressive,’ ‘bossy.’ Mentioning previous successes in an interview actually makes you less likely to be hired, but only if you are a woman. This is awful, but perhaps we need to just be aware and play this game to our advantage: be likeable, get the job. Be decisive: when Sandberg was offered a lower-level job at Google in the company’s early days, she took it, even though it was a demotion. She cites the CEO telling her: ‘if you’re offered a seat on a rocket ship, you don’t ask what seat. You just get on.’ Rather than scrambling up the ladder, not looking around you, sometimes you take a different path: after all, in the rush to achieve we are not always contributing the most we can in the most innovative ventures. Be honest: great communication is predicated on honesty. How often do we (not just women) side-step the truth because it is difficult? A culture of candour respects the truth of all parties, it looks to listen and understand, but not refrain from confronting hard truths on all sides. Sandberg writes: ‘“How can I do better?” What am I doing that I don’t know?” “What am I not doing that I don’t see?” These questions can lead to so many benefits,’ despite how painful it is to hear such truths. Be committed: Sandberg cites examples of women who ‘leave before they leave,’ mentally committing to the family and children they, in some cases, do not even have; turning down promotions because they worry about balancing work and home. She sees this as one reason women choose to not return to work after having children: their jobs just were not challenging enough. Be savvy: Or, in Sanberg’s words, ‘Make your partner a real partner’: choose to be with someone who supports you in your career. A partner who insists you do 100% of the chores and take 100% of the children’s sick days yourself and raise each child 100% alone is not someone who can support you to achieve your full potential. Choose wisely! Work harder: Sandberg outlines just how hard it is to be a great mother and great in the office, and admits you will be unlikely to excel equally in both. For Sandberg, it becomes about ‘guilt management’ and understanding that, for a short time, you will always feel like you are failing in one or both spheres. But what can you do about that? Just keep working harder. And, presumably, accepting help! Support each other: Women are too often each other’s worst critics. We need to champion each other, support each other, and celebrate each other’s successes. We need to team together, not cut each other down from the sidelines. Like men, I need to be in no rush to achieve. This self-focused approach will not allow me to learn the most or contribute the most in education. There is no rush, because children need to happen at the right time, not because the ‘thirty alarm’ has gone off. And perhaps everything will change, and perhaps I won’t care about my career. But that may be as much a societal construct as the expectation that I wear make-up and high heels and my male partner does not. Ultimately: none of these are comments a man would receive. None of these are worries a man would have. We need to reject these worries: gender should not be what defines us. CPD has the potential to be the stuff of nightmares. At the end of a long day, the last thing I would choose to do is spend an hour sitting around discussing questioning strategies for closing the pupil premium gap, or messing about with Bloom’s Taxonomy card sorts, or worse– trawling through reams of data. Utterly soul-destroying stuff. Since joining Michaela, I have not had to sit through anything close to this. In the English department, our CPD is focused around improving our subject knowledge. Under the guidance of our exceptional Head of English, Jo Facer, I have learned lots about the texts we teach, which has dramatically improved my teaching. Here are three things we do as a department to improve our subject knowledge. We meet each week for an hour to discuss our upcoming lessons (which have been planned and resourced in advance). We all arrive to the meeting with the lesson content (poems/ book chapters/ grammar exercises, etc.) pre-annotated so that we have lots to discuss. Jo leads the meeting, and she goes through a few key points that need to be drawn out, focused on or developed in the lesson. We then branch out into a discussion about some of the texts, sometimes driven by our particular specialisms or interests. The aim is to deepen our understanding of the content. We all add to our annotations as the discussion progresses, building on each other’s points. Another aim is to consider possible misconceptions and alert our attention to things that pupils may struggle with. For example, Jo might point out some ambiguous vocabulary, or clarify, ‘make sure they don’t get x confused with y here’. It’s really, really useful, and it means that every teacher in the department spends a lot of time thinking deeply about the content. 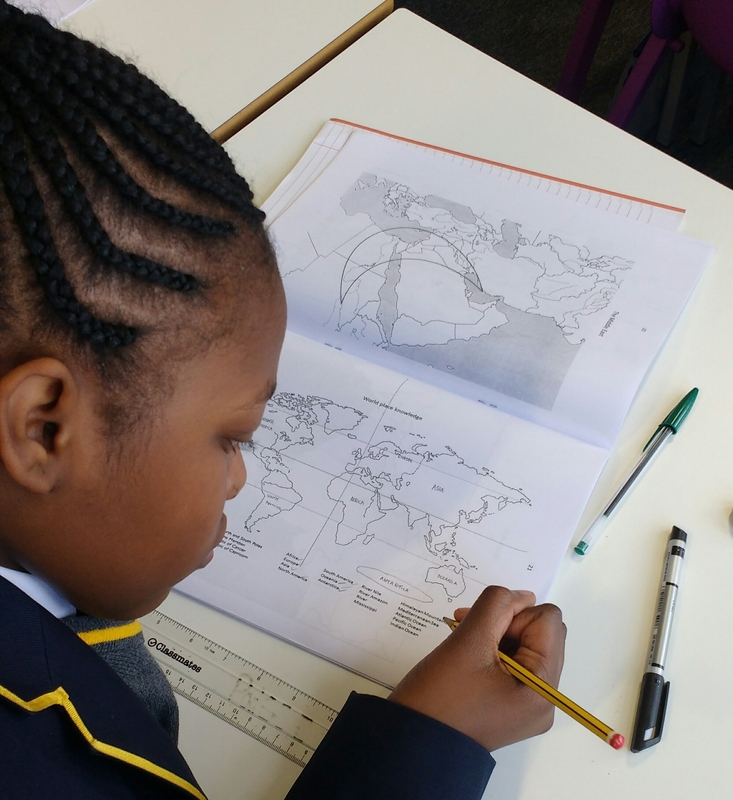 At Michaela, pupils carry out memorisation for homework every night. The aim of this is for every child to learn the most crucial knowledge to automaticity. Teachers at Michaela also work hard to memorise the same knowledge by heart. I’ve found this tremendously useful. If I find my class packed up, standing behind their chairs a few minutes before the bell, I can quickly quiz them on a few things without having to scramble around and look for a sheet of paper. It also means that I know what they know, down to the precise definition they have been taught for each concept. I have found that having a shared language for such things to be invaluable. We sometimes have knowledge tests in our weekly English meetings, which is good because it holds me to account! When there are a million things to do, learning Macbeth quotes might slip down the priority list; knowing you’ll be tested on it in a week’s time is a good motivator! Of course, relying on the above is not enough. Teachers should always be a long way ahead of their pupils in terms of subject knowledge. As a non-English graduate, I feel particularly paranoid about this from time to time. This is another area in which Jo Facer and Joe Kirby have been brilliantly supportive and helpful: they have recommended various books and articles for each unit we teach, and in some cases, have furnished us with helpful abridgements! All of this has really helped to enrich my understanding of the curriculum. If you want teachers to teach knowledge, then shaping CPD around the content they will be teaching is a good place to start. Of course, this isn’t going to help teachers get better at managing behaviour, nor will it directly improve their pedagogy, but it does help to focus their minds on their subjects. Sadly, subject knowledge gets pushed to the sidelines in many schools, often because of pressures surrounding data or exams or moderation, etc., and whilst those things are important, they shouldn’t eclipse our subjects, because our subjects, after all, are what we are here to teach. Michaela is a free school, which opened in September 2014. It is a mixed community secondary school in Brent for pupils aged 11-18 of all backgrounds. We believe that an elite education based upon traditional values should be within the reach of every child. Our school motto is ‘knowledge is power’. Pupils joining us promise to ‘work hard, be kind’. Lots of our teachers are bloggers and take an active interest in debating educational practice. Watch a video of the school or read some of our blogsto get a better sense of the things that we talk about. This summer, we would like to offer teachers the opportunity to assist in the design of our innovative curriculum. The curriculum will recognise the central role of knowledge and memory for learning, and will draw on insights from cognitive science and educational research. In the project, you will help plan, create and evaluate lessons and resources for our key stage 3 curriculum. At the top of this page, you can see one of the booklets we’ve made to improve our pupils’ location knowledge. You will be working with our team to help make curriculum resources like this. We welcome applications from anyone with interests in maths, English, science, languages, history, geography, religion, philosophy and the arts. -believe that all pupils, regardless of prior attainment or socioeconomic background, can achieve excellence. Unfortunately, we are not in a position to be able to pay people for their time, although we will cover reasonable travel expenses. The real benefit of the project, however, is the opportunity to work with like-minded teachers who believe in a knowledge-rich curriculum for all. Those who have completed a Summer Project with us are also guaranteed to get an interview if they later apply to teach at Michaela. This is an ideal opportunity to get to know the School and the staff in advance of an application. The projects run throughout the summer, although the first two weeks of the standard school holiday are preferred. Most teachers will be working at our school in Wembley, although some teachers may be able to work remotely. Nature abhors a vacuum. Human nature abhors a power vacuum. Idealistic teachers often propose a classroom set up where co-operation reigns over command and control. Whilst lovely in theory, in practice we end up with more of a dystopia than utopia. A teacher’s decision not to assert their authority won’t result in a classroom of equals. There will be a leader. It just won’t be the adult. Instead, it will be your most bolshy pupil. It’s true of adults, too. Think of any group you’ve worked in. Everyone hates being over-managed. But a vacuum of leadership is worse. It sounds seductive, not being told what to do. But even in a group of well-intentioned, motivated adults, the frustrations of decision making by committee soon lead to collapse – unless, of course, a natural, unofficial leader emerges. Lack of certainty is uncomfortable, unsafe and unenjoyable. So it’s no wonder it’s a calamity when applied to a group of children with less maturity, more competing motivations, and a more acute sense of peer approval. Humans intrinsically seek belonging and will impress whomever necessary to make that a reality. Make that the most fearsome member of year 9 set 3, and the results are predictable. Being a leader, telling children what to do, and keeping clear, tight boundaries is the kindest thing to do. It keeps our children safe and allows them to learn. Us teachers should never feel we have to apologise for being the one calling the shots. Anything else is an abdication of our responsibility to keep our children safe, happy, and learning. Maths – 24.04.2016 – Right is Right: Why it is very challenging? Whilst teaching, I asked a question to my class after delivering a worked example listing all the factors of a number. Specifically, I was demonstrating that the number of factors of a square number will be odd because we have a repeated root, and therefore that we don’t write it twice. For example, 16 has the following factors 1, 2, 4, 8 and 16, whilst 36 has the following factors 1, 2, 3, 4, 6, 9, 12, 18 and 36. Also mentioning a non-example such as 15 having an even number of factors, because it is not a square number with a repeated root, and so 15 has the following number of factors 1, 3, 5 and 15 etc. Right is Right starts with a reflection that it’s our job to set a high standard for answers in our classrooms and that we should strive to only call ‘right’ or ‘correct’ that which is really and truly worth those terms. Many readers may be thinking well actually that is pretty obvious. However, it has its challenges. If I said to Sally “Well, you are nearly there, or halfway” then I would be doing her a disservice. Why? Because what she said was incorrect. It was not mathematically accurate, and I know that if I let that misinterpretation hang around in the air then all pupils in the room will develop a misconception around it. As a teacher, children believe that everything we teach them is correct, and if I allow slightly incorrect answers to seem ok, even though I knew what Sally meant, then my standards of Sally and her peers would not be high enough. As Lemov states in his field notes, “teachers are not neutral observers of our own classrooms,”— it is simply the thought that I know what the pupil means when they say something inaccurately that resonates the most with me. For example, whilst marking an assessment a pupil wrote the unit for a compound area question in cm2 instead of m2 where metres was the unit used in the question for each length: I marked her answer incorrect. There are many debates on this and I do understand that this is not a calculation error but maybe an error in reading the question, or in stating the correct units, but nonetheless she did not write the correct units for the question. It is not right. By holding pupils to account, you are striving to equate the term ‘right’ with ‘correct’. As Lemov has stated in his field notes, there are many caveats posed in implementing the strategy of ‘Right is Right’ in the classroom. He mentions the problem of time. That to fix *Sally’s mistake I needed to spend more time than planned in my lesson to correct her, but this is an investment that will be appreciated later on when a question such as this arises in a high stake exam. Secondly, pupils who are shy or timid may become discouraged in putting their hand ups ever again because they made a mistake. However, I think that comes down to the culture you have in your classroom. Lemov talks about having back pocket phrases for moments like this, and here is the one I use frequently: “Thank you Sally for letting us all learn from your contribution, because of you, you have learnt so much more and so has everybody else.” Then at Michaela, we would give an appreciation with two claps to follow for Sally. Right is Right is a challenging strategy to implement in the classroom. However, I wholeheartedly believe that it enables pupils to raise the standards of what they can achieve, and, for teachers, it ensures that expectations of what pupils can achieve also remain high. *The child who I am referring to has been referred to as Sally, and not by her real name. People bandy around the term ‘no excuses discipline’ in a way that I think is often highly misleading and, ultimately, very unhelpful. ‘No excuses discipline’ is parodied as a cruel and heartless system administered by Gradgrindian monsters such as myself who clearly do not care about children at all. As I’m going show today, nothing could be further from the truth. If you truly care for your pupils ‘no excuses discipline’ is, in fact, the best option available to you. ‘No excuses discipline’ is like Ronseal: it does exactly what is says on the tin. It is a warm but unapologetically strict school-wide system, which sanctions pupils for poor behaviour. More than that, though, it says that as long as the school has set the expectations clearly, and supported the pupils to reach them, there can be ‘no excuses’. Pupils should all wear correct uniform, pupils should all turn up to school on time and pupils should all bring the correct equipment to lessons. Failure to do so will result in some form of sanction. Now, I don’t for a second think that those who oppose ‘no excuses’ discipline dislike children or have anything but the best intentions. I’ve had the pleasure of working with some immensely diligent and caring teachers who I believe are nonetheless wrong on this particular question of school discipline. And that is because I believe that the alternative to a ‘no excuses’ school is ‘some excuses’ school: where we accept different standards for different pupils. And I believe that that is profoundly wrong. So let me start with a proposition that probably won’t be that controversial. The ambient level of behaviour in Britain’s schools is poor. On one hand, you have what we might call the ‘big ticket’ behaviour. This is the really serious physical, verbal and emotional abuse which is much more common than many are prepared to admit. NASUWT who surveyed 5000 members in March found that nearly half of teachers had been subjected to some form of verbal abuse. More than 1 in 10 said a pupil had physically assaulted them. And, as ever, the thoughts and feelings of the invisible children in these classes, whose learning is consistently disrupted by such incidents, go unrecorded. But it’s not just the ‘big ticket’ behaviour that we should be concerned about. For many teachers it’s the low-level disruption that really sticks in the craw: the shouting out, the answering back and now the constant fear that the next time you tell off little Jonny little Gemma will record you getting all hot and flustered and post it all over Facebook. And that’s the crux of it, right there at the end; ‘the life chances of too many pupils.’ It is why I maintain that this is a moral issue and one that should shame us much more than it does already. This is because the effects of poor behaviour are particularly damaging on the margins of our society. In schools where the pupils are poor or are in care. These children always get the double-whammy: not only are they more likely to come from turbulent or unstable homes where consistency, routine or even high expectations may be in short supply. But they are often then served by teachers who will not preach what they would practise with their own children. Some teachers expect their own children to do their homework. They expect their own children to bring a pen to school. They expect their own children to put their hand up before speaking in class. But hold other people’schildren to different standards. They believe in different standards for different pupils. A system where the ambient level of behaviour is poor. A system where poor behaviour disproportionately damages those pupils on the margins of our society. I think it is a shameful state of affairs and one that I believe it is in our power to change. With that in mind, I have two propositions. Proposition 1: No excuses discipline means all teachers can teach. It will have escaped nobody in this room that there is a recruitment and retention crisis in teaching. There reasons for this are complex. But one thing that drives teachers away from schools, and particularly schools in the most challenging areas is the anxiety and the waste that come with poor behaviour. In my training we used to call it ‘the Dread’: that feeling when you wake on a Sunday when you know that, not only are you going to spend most of the day creating a card sort, but that the next day Year 8 will spend all day ripping it up. Now there are those who will tell you that the reason for bad behaviour in classrooms is because of the teacher’s poor planning, their inexperience or their lack of charisma. There is some truth in this. Pupils do behave better with teachers who set work that is pitched to the right ability. Pupils do behave better with teachers that make them laugh (and who they can laugh at!) And pupils do behave better when they know that their teacher, deep down, really loves them. We all know teachers like this. They are the staffroom legends that can always be relied upon to bring even the naughtiest Year 11s to heal. But you can’t design a system around Tom Bennett. You can’t design a system based on all of your teachers being exceptionally well-planned, exceptionally humorous or teachers who all have exceptional relationships with their classes. Not everyone can be exceptional. No excuses discipline means that all teachers can teach, not just the exceptional because it creates a consistent culture of sky-high expectations throughout the school.All teachers and all pupils know where they stand. Every pupil knows they have to wear their uniform correctly. Every pupil knows they have to complete their homework. And every pupil knows they have to put their hand up before speaking. Of course there will always be teachers within these systems who are exceptional – teachers like Tom Bennett and John Tomsett will always stand out because of the relationships that they build with their pupils. But the success of our systems should not be judged on how they help the strongest but on how they help the weakest. No excuses discipline means that all our teachers can teach – even the nervous, the inexperienced and the least charismatic. Proposition 2: No excuses discipline means all pupils can learn. A ‘some excuses’ school would have taken that teacher at her word. They would haveexcused Tom’s behaviour on account of him having no father figure at home. They would have excused Tom’s behaviour because he was ‘typical’ [her words not mine] of boys in Wembley. And they would have excused Tom from a full school timetable and a full education because ‘he occasionally cries and throws himself into walls’. We chose not to do that. We didn’t excuse Tom. We didn’t excuse him because he had no father figure at home. We didn’t excuse his behaviour. And we didn’t excuse him from lessons. And that’s a difficult thing for any adult to do: to use your authority over a child in a way that you know, at least temporarily, is going to upset them. For people who go in to teaching because they care about children it’s completely counter-intuitive. It’s not what we thought we signed up to do. But it is something that we must do because the alternative is so much worse. If we cannot change Tom’s behaviour we allow who he is now to define who he will be. And Tom found it tricky at first. He spent the first three weeks in and out of detention like a yoyo. He cried a bit and, even now, he turns around from time to time. But he’s on a full timetable rather than leaving at 1.30. He is polite and well mannered to teachers and pupils. And, and most importantly, and because of this, he’s really happy. Because now he can learn. And that’s what this really comes down to: the alternative to a ‘no excuses’ culture is a ‘some excuses’ culture – where we allow children’s circumstances to define who they are and what they can be. Every teacher in this room will have taught a pupil like Tom. And every school and every teacher has a choice. They can make excuses for Tom and say that kids like him are incapable of a full timetable. Kids like Tom will never bring the correct equipment to schools. And kids like Tom will never be able to put their hands up without first shouting out. I’ve said today that this is the ‘some excuses’ school: a school that presumes that because he always was he always will. ‘No excuses’ discipline rejects this. It says that teachers should be able to teach: allteachers, not just those whose planning is perfect, or are charismatic or who’ve established their reputation over 30 years. And, most importantly, no excuses discipline works for pupils. It means our country’s pupils – all our pupils – can go beyond the circumstances of their birth to be whatever they want to be.